The 5-group, 8-element ‘super’ zoom, SDLv2 eyepiece offers superior cross-field definition with exceptional viewing comfort. Waterproof and fitted with a rotating eyecup. Supplied in soft padded case and a 10 year guarantee. 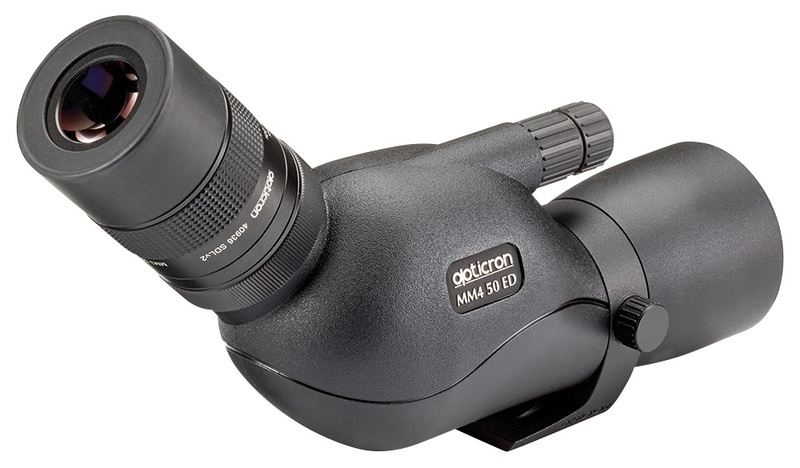 The Opticron stay-on-the-scope waterproof black water resistant multi-layer padded case is tailored to fit the MM4 ED, protecting the instrument while fitted to a tripod and in use. Includes removable end caps and adjustable carry strap.